Well flamed maple two piece back with matching ribs and scroll. Well flamed maple one piece back with matching ribs and scroll. 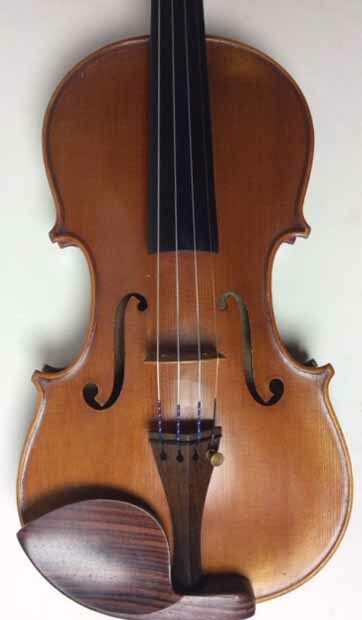 This violin would suit musician with small hands. The width of the neck at the nut is twenty one and half m.m. Average width is 23m.m. 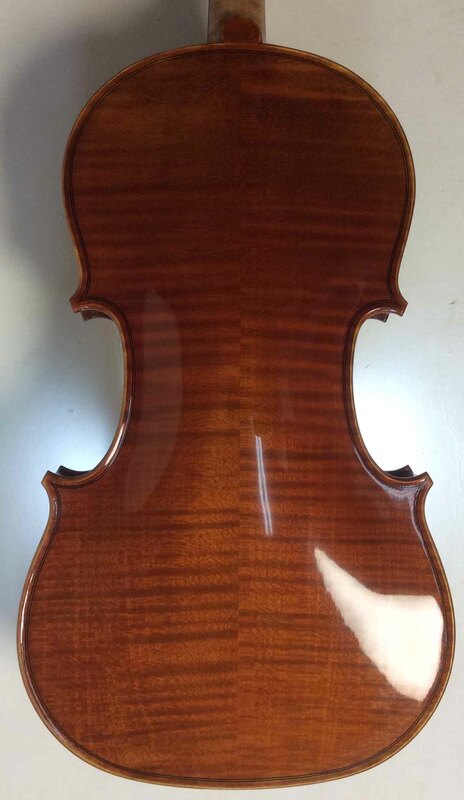 and most new factory violins are 25m.m. 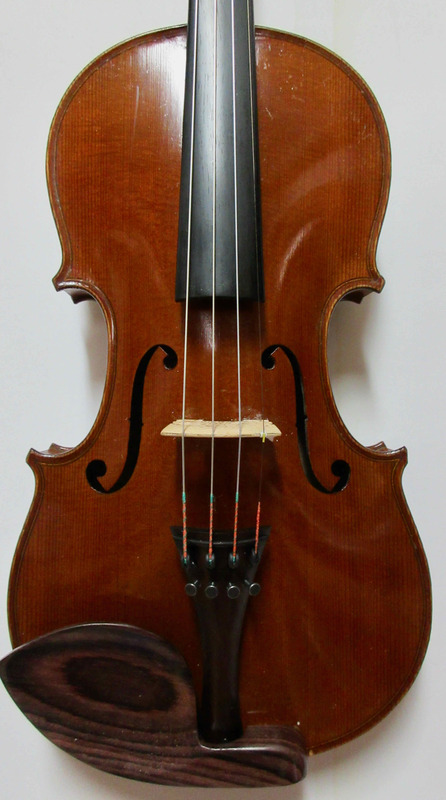 Fitted with Wittner finetune pegs Ebony chinrest & floral inlay tailpiece. EUR €1600.00 Click on image to enlarge. ribs and scroll. Varnished red/brown. Some scratches on the back from an ill fitting shoulderest. Jozsef Mirth and Ferenc Mundl . He closed shop for during the first world war working alone from home. 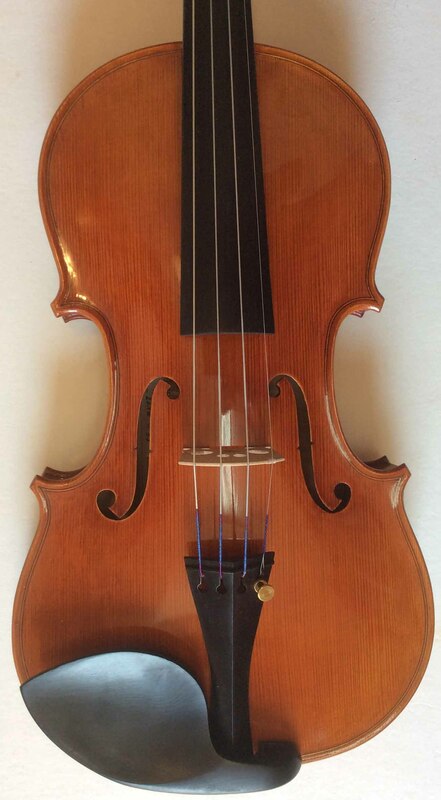 This is a clear bright violin in excellent condition. 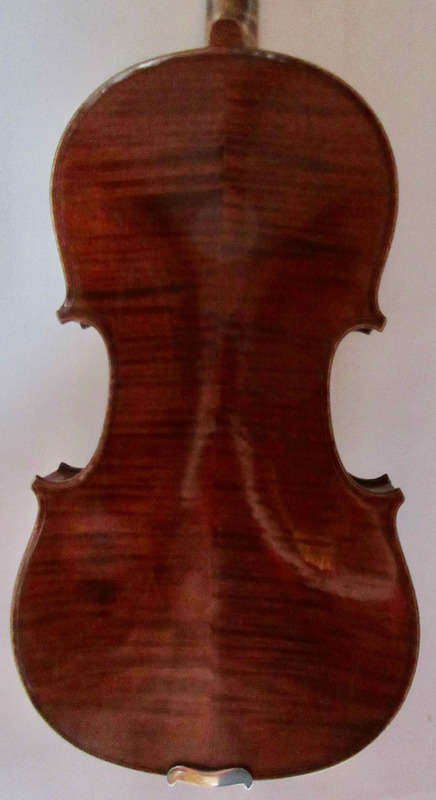 Maple one piece back, matching ribs and scroll. 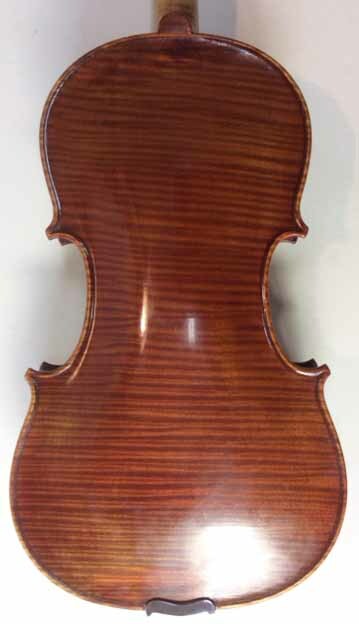 This violin is modelled after Stradivari. 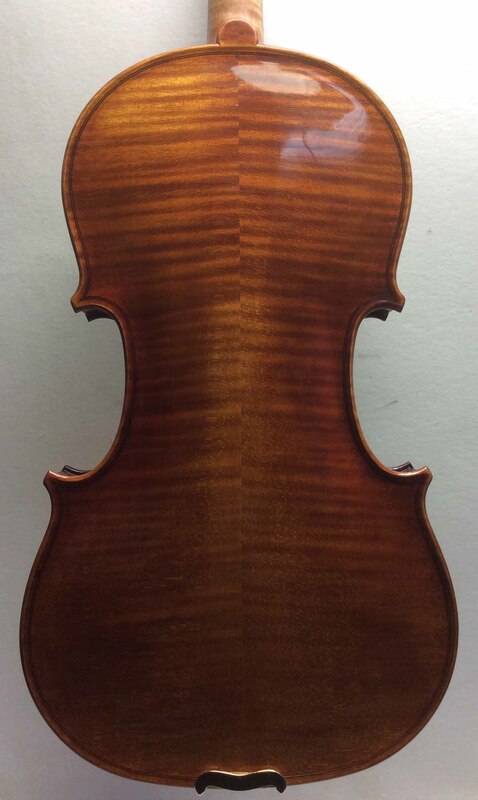 Made from top quality Europeen woods selected by Jay Haide and made by their senior violin makers at the Jay Haide workshop. 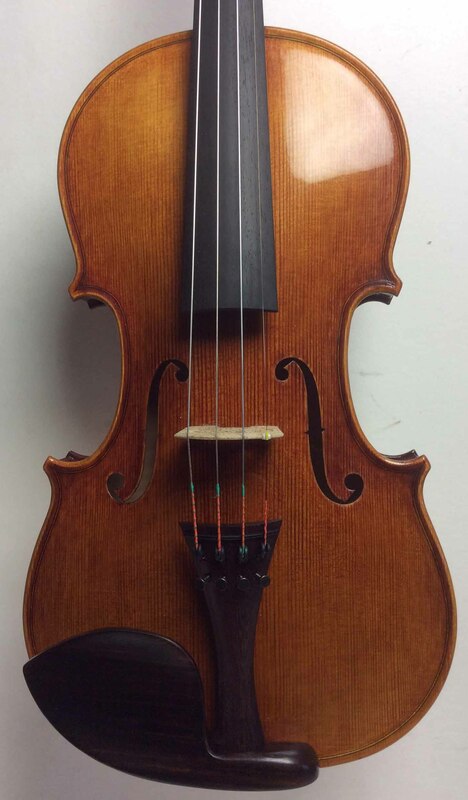 Fitted up by James Beatley with Wittner fine-tune pegs/ chinrest Ebony /endpin Ebony & Ebony Hill Model tailpiece. Superior Despiau Bridge & Strings Pirastro Wondertone Solo. Made in Germany. Maple two piece back, matching ribs and scroll of well flamed maple. Fitted with rosewood fittings. In excellent original condition. Good modeling and workmanship inside and out. Maple two piece back, matching ribs and maple scroll. Good modeling and workmanship. Fitted with rosewood fittings plus matching Wittner Ultra tailpiece. 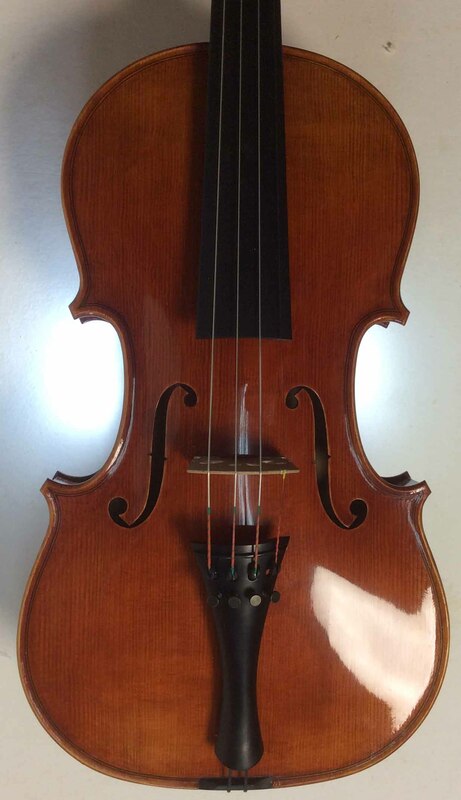 This is nice old violin excellent condition. Maple two piece back, matching ribs and scroll. 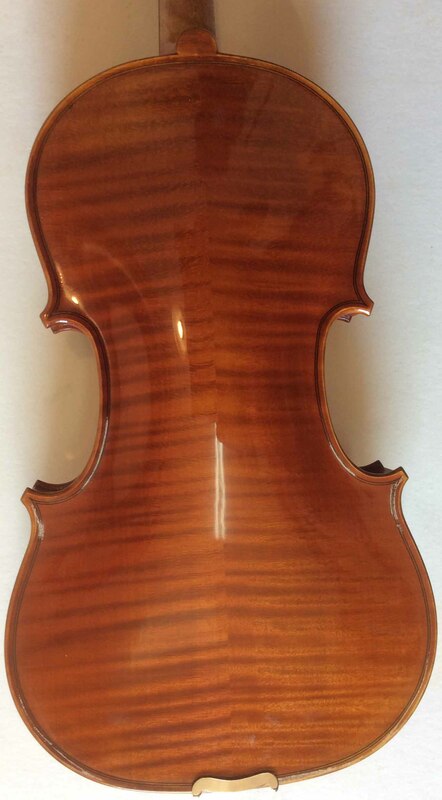 This is a clear bright violin. Maple two piece back,ribs and scroll. New set-up with Ebony peg, Ebony fingerboard and Wittner Ultra tailpiece.